I still remember the day when I received my favorite toy Tinni on my fifth birthday. My father bought that for me. Tinni was a beautiful talking doll and wore a pinkish gown. I used to spend hours with that doll. Whatever I said she used to repeat the same. Tinni became an inseparable part of my life. This is just one instance, which I shared with you. This is common for each and every kid. Each and every kids love toys. Do you have any doubts,then just take them to a toy store. A toy is more than just fun and games for kids. A toy can engage children senses, sparks their imagination, and encourage them to interact with others. Toys have a deep impact in a child’s mind. Children are extremely fast learners. For a newborn, the world is like a flood of information, which they can absorb like a sponge. Children have the capacity to take large amount of information; the connections in a young child’s brain are far more than the adults. Toys are beneficial for children’s development:Considering the amount of toys children spends with toys, it seems strange that so little attention has been drawn to their contribution to development. The apparent disparity between girls and boy’s cognitive abilities in later years lasting into adulthood, has not been linked to dualistic, gendered nature of children’s toys and media. 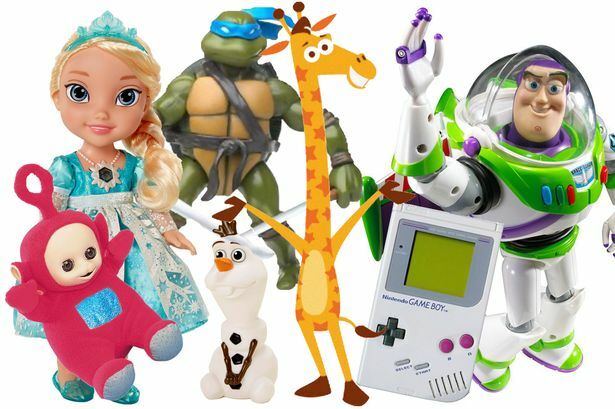 The toy companies exploit gender stereotyping: Toy companies always look to make profits. The truth is that it is much more profitable for a toy company to create separate market for both the boys and girls. Each requires their own, separate, products than making products, which appeal to both boys and girls. By reinforcing the idea of gendered colors, personality traits, clothes, and even careers, the toy companies create pressure for children to fit in with their genders, for fear of ridicule and social isolation. Suddenly and unsurprisingly, children start to place an intense interest in defining and separating genders and in conforming to these expectations. More and more extreme versions of masculine and feminine children’s toys being created and being accepted by children. A child certainly doesn’t have the power to properly consider these social pressures and resist them. Scientific study on toys: Foundin a study, more toys previously thought of as being muscular were now rated closer towards neutral, however they conclude that toys for the most part are usually able to be classed as being associated with one gender or the other. A feminine toy has an encouraging appearance and attractiveness than masculine toys, were rated as being visually more attractive. Masculine toys are aggressive, competitive, violent sustaining of attention, exciting, fun, dangerous and risky. The toys are also more likely to move on their own than girl toys. A masculine toy tends to be more responsive and encourages a better development of spatial, scientific and intellectual skills. Here are tips that create less stereotyped environment and expand your child’s potential for cognitive development. Encourage your child to use a wide range of toys. A gender specific toy offers different advantages so it is important to use a toy, which offers a well-rounded experience and development. Neutral toys are most beneficial as they are moderately gendered and encourages in development of cognitive, scientific, musical and artistic skills. Some neutral include: play doh, legos and building blocks, puzzles and the musical instruments like xylophones. Try watching T.V shows which are less likely to reinforce gender stereotypes. Include movies which are having strong female roles and that don’t allow outright punish male femininity.